Prior to the wedding at the center of the film, Red (and 2 other characters) are getting Mike Ryan’s opinion on their tuxedos. Unlike the other two, who have rented their tuxedos, Red has borrowed his from a magician, leading to the expected misfires from the magical tuxedo. It’s an extended bit, which I’ve seen before (notably by Curly Howard of the Three Stooges in Loco Boy Makes Good) — but I’ve never seen it funnier! I was literally laughing out loud watching it. Later on, Red is carrying luggage for the gruff Dr. Gillespie (played by the legendary Lionel Barrymore), and has to make a phone call — a classic routine, as Red is trying to deal with the 5 large pieces of luggage inside the small phone booth, and struggling to actually place the call in the tiny space left; the finale of this bit was both unexpected and hilarious. 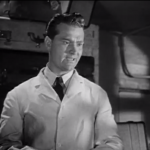 I mentioned a serious moment for Red as well — in this film the long-suffering Dr. Kildare (Lew Ayres) and lovely nurse Mary Lamont (Laraine Day) are finally getting married after several films (not unlike Red’s predicament in the Whistling in the Dark series). With a few subplots along the way, such as Dr. Gillespie’s cancer, a new patient — a conductor who is losing his hearing — and the hospital staff trying to surreptitiously get a wedding present for the couple. 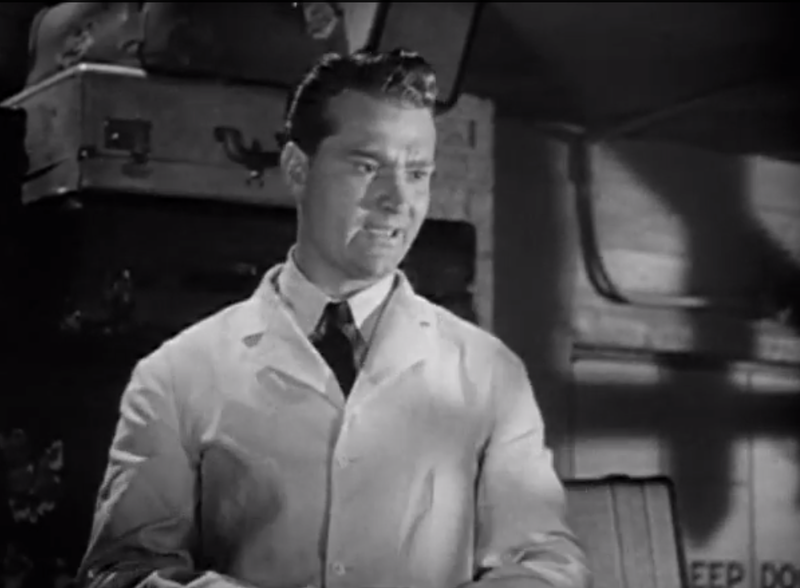 There’s a tragic moment that occurs roughly two-thirds of the way through the movie, that I don’t want to spoil for people who haven’t seen the movie; and it’s up to Red Skelton to break the sad news to young Dr. Kildare. The remainder of the movie deals with the young doctor trying to deal with the consequences of that news. 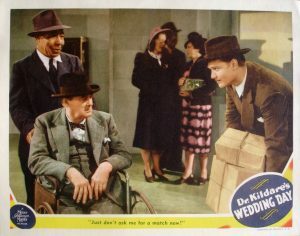 In all, I thoroughly enjoyed Dr. Kildare’s Wedding Day, and I recommend it highly — in addition to Red, there are excellent performances by the entire cast, and my children and I enjoyed watching it together. At the moment, it’s not available on DVD, sadly.